A focused analysis of classic experiments and how the scientific process has changed over time. Students will engage in understanding seminal discoveries by learning the underlying science and studying experimental design. The course will also discuss how complex and challenging problems facing humanity today require an integrated approach. 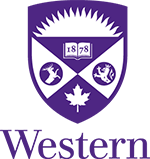 Prerequisite(s): Enrolment in Year 1 of the Western Integrated Science program.